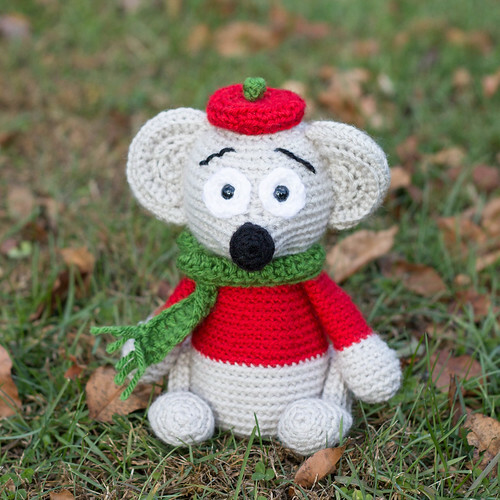 When I saw this post at homemade@myplace, it reminded me that I wanted to make something for Softies for Mirabel this year! So here's the little mouse that I'm going to send off to Australia! 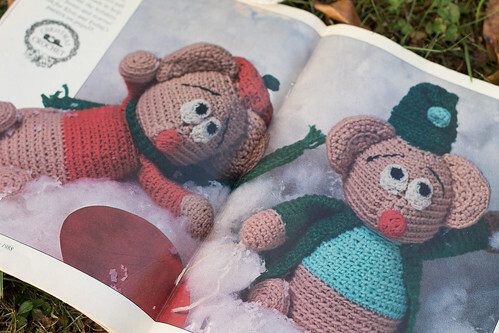 I found the pattern in the December 1988 issue of Crochet World (which at the time was $2.25!! Crazy huh?). 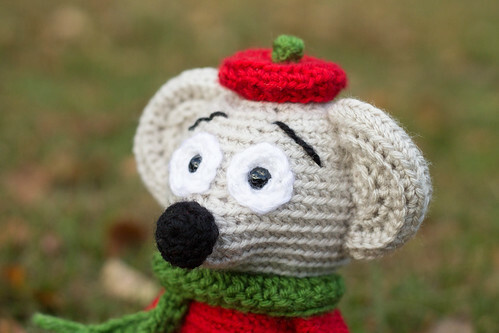 I did just a few little things different, like using safety eyes instead of the fully crocheted eyes, using a smaller hook for tighter stitches and making the nose black instead of red. I took the above photo of the mouse (Elvis, according to the pattern), with the magazine for some idea of scale. I think he turned out pretty cute! 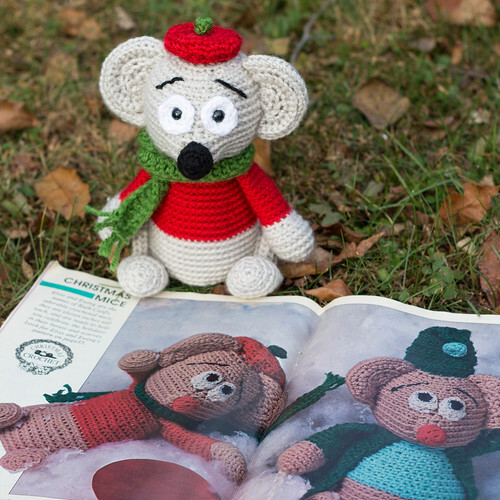 My only regret was that I didn't have time to also make his buddy Ewing Mouse! Your mouse will make a kid so happy to receive it!!!!! Thank you for the link to my blog and I'm happy to share this good cause with you Kate!!!! I'm glad you made him a scarf to keep him warm before joining the Australian summer! He looks a little worried about the long journey though. I wonder what the koalas will think of him? !